With over 70 years of boat building experience, and rigorous quality standards, Klamath provides the best built, toughest, and highest value boats in the market. Established since 1947. Klamath boats are built to withstand the demands of serious sportsmen. Nearly every day we receive feedback from our customers telling us how much fun they have had with the boat, and thanking us for our dedication to building the highest quality products. Klamath’s extensive experience, combined with modern manufacturing technology and continuous improvement, provide a unique blend of classic design and present day technological advancement. 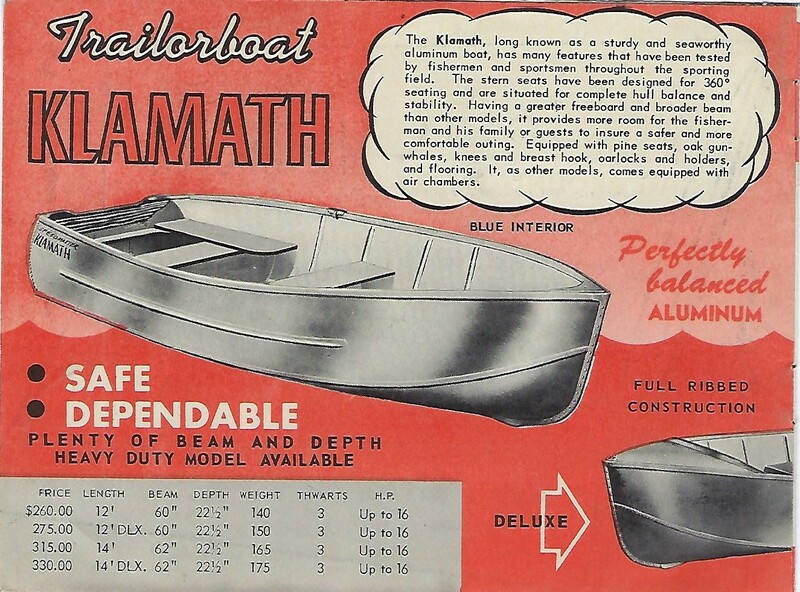 Klamath boats are welded from the highest grade marine alloys. Welded construction means that there are no rivets to work loose and leak. 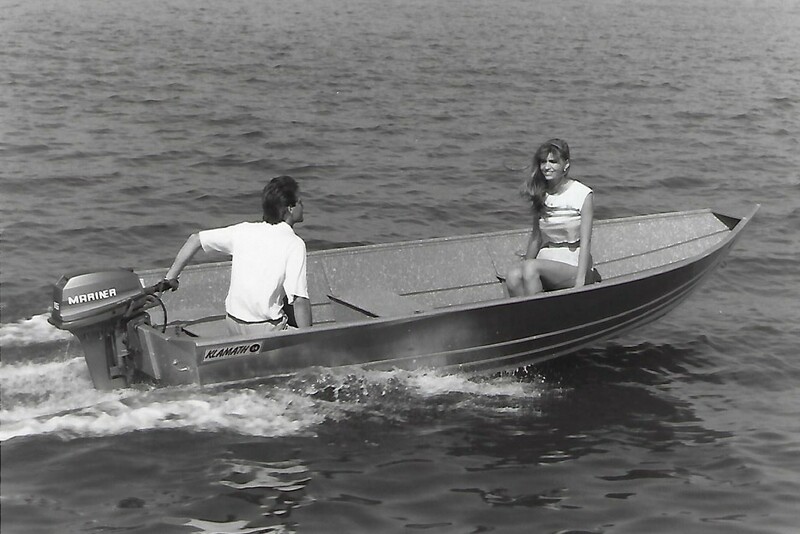 Careful material selection and thorough engineering in all aspects of the design and fabrication ensure that selecting a Klamath is buying a boat that will last for generations. The extruded double wall chine developed by Klamath provides the driest riding, quickest planing, hulls available for today’s sportsmen (and sportswomen). 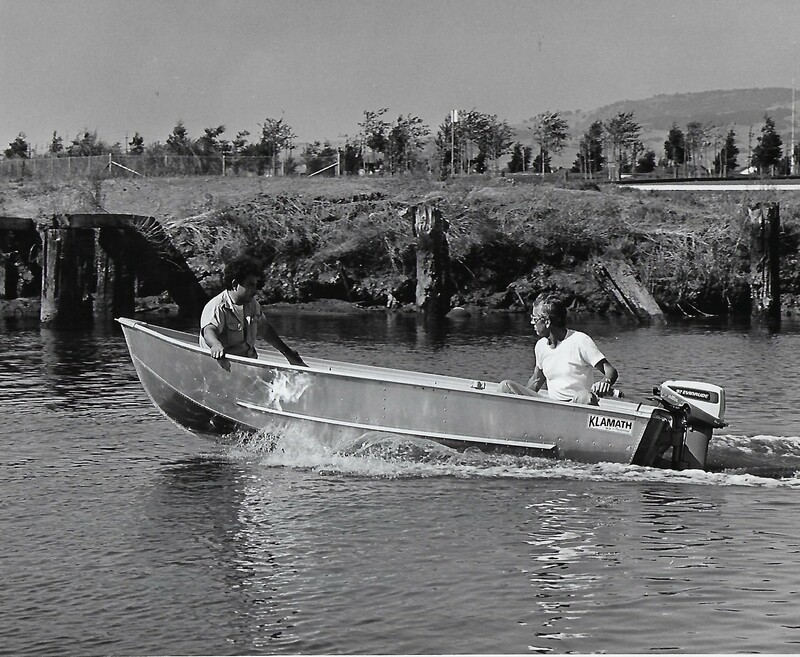 We built boats way back in the old days with lightweight aluminum and riveted panels. You can still find some of these boats on the water today. The original 12- 14 Deluxe as it was in the 1950’s. Note prices and designs have changed a bit. 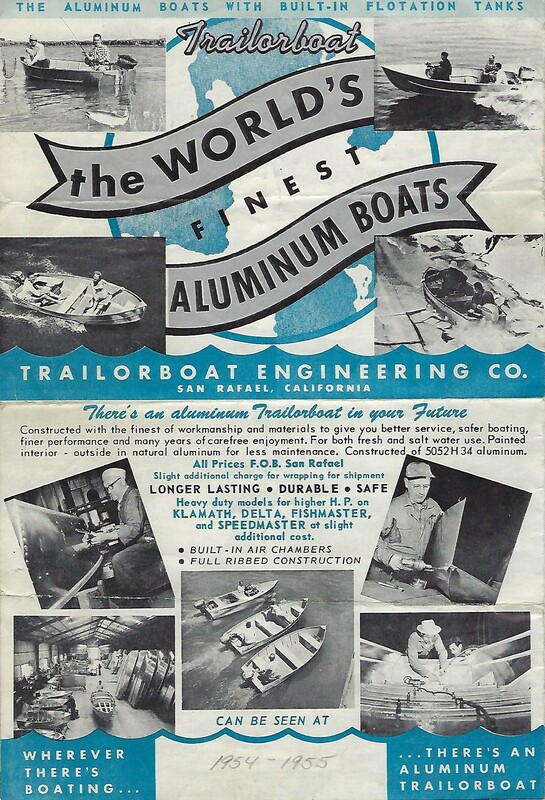 Trailorboat Engineering Co. Brochure from 1951. Note the prices and designs have changed a bit. An early production 14 Deluxe from the 1970’s. Trailorboat Engineering Co. Brochure from 1954.